A new road bridge improves safety and traffic flow in Finland, both over and under. Constructing a bridge on an existing highway requires detailed planning to ensure that it is built as quickly as possible. 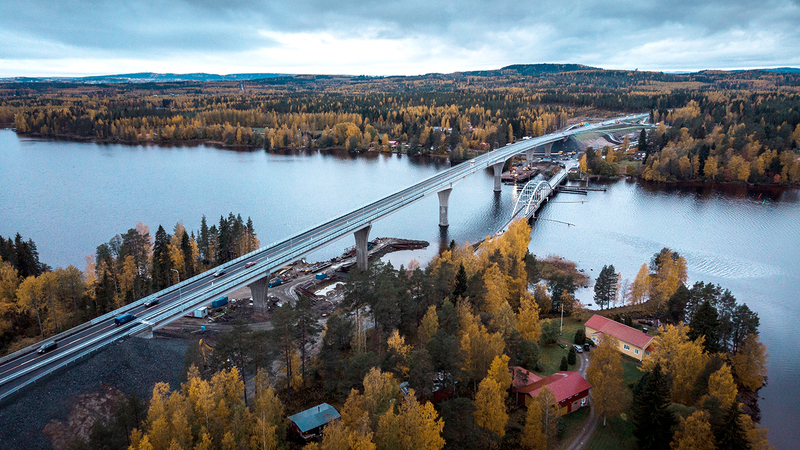 The new Jännevirta bridge, near the city of Kuopio in central Finland, replaces a 67-year-old draw bridge that caused considerable traffic congestion both on the road and the waterway. The new structure considerably improves traffic conditions and at 25 metres in height, allows for the uninterrupted passing of shipping below. The design and the installation of the steel structures made extensive use of advanced data modelling, and a variety of seamlessly interconnecting data models for the road and bridge structures were developed. In addition to the construction of the bridge, the project involved improvements to a section of national road, including producing acoustic screening to reduce traffic noise. Road safety was improved by building an overpass and two underpasses.